Is your physician directory updated and accurate? If not, it will directly impact your ability to attract new business and provide a valuable patient experience. Healthcare seekers are the new consumers. They have complete control over which provider and hospital they choose, and they are taking to physician directories to check reviews, rate providers and find the best facilities. In fact, 93% of healthcare seekers say that physician and hospital rankings are very useful in their decision-making. We also realize that it’s becoming increasingly difficult and time-consuming to keep your directory updated and current, especially if you have hundreds or thousands of physicians. You are not alone. Recent data shows that more than half of provider directories have at least one inaccuracy. To help you stay current, we’ve outlined some best practices for updating physician directories and how to engage potential patients with your profiles to increase their chances of choosing you. Keeping your basic information updated can help you increase your Google rankings (accurate directories are ranked higher by Google) and attract new patients (outdated directories can deter consumers). Failing to update your profile, however, may result in poor reviews and a declining reputation. According to a Weatherby Healthcare survey, 84% of consumers cited the physician’s knowledge and abilities (competence) as “extremely” or “very” influential when choosing a provider. To stay competitive and satisfy consumers, add relevant certifications to your profile, especially if you specialize in one area of medicine. Some consumers prefer more experienced providers (which they associate with age), so listing your age may also be an asset. Research by The Journal of the American Medical Association cited that 60% of respondents said that provider reviews are important when choosing a physician. Patient reviews are a popular search criteria for consumers looking for providers. Poor reviews can deter consumers from choosing you and also damage your reputation. If you run or manage hospital marketing, your reputation is also important as physician feedback surveys are used to create hospital ranking reports. Poor reviews can negatively affect your reputation and continued growth. To discover how your reviews directly affect your patients’ decision-making process and also how to attract more positive ratings, download our medical guide on How to Compete for Patients in the Digital Age. According to a survey by the American Medical Association and LexisNexis Risk Solutions, more than half of physicians reported that their patients faced insurance coverage issues due to provider directory inaccuracies. Basic physician directory profiles list insurance options. But, taking this one step further can help your profile stand out to potential patients who are budget-conscious. In addition to insurance options, list any discounts, financial programs or payment plans available. Out-of-pocket costs are not uncommon, so potential patients may feel more comfortable working with you if they know they have more financial options and flexibility. The Weatherby Healthcare survey also found that 18% of participants considered capabilities offered within a practice or healthcare facility to be critical, while 43% considered it important. Within your physician directory profile, highlight any notable facility features like ample parking, laboratories on site, equipment facilities (imaging, etc. ), pharmacies and counseling services. An engaging bio can win over potential patients and boost trust factors. According to Weatherby, one out of four patients would be likely (“very” or “extremely”) to switch to a new primary care physician if they found one with a more positive attitude than their current physician. Write in a conversational style to engage the reader. Humanize your bio — tell a story, share your history. This builds trust. Show a video that introduces your practice so potential patients can see your warm, inviting personality. This will ease their concerns about poor bedside manner. Keeping physician directory profiles updated and engaging is critical to attracting new business and keeping your practice relevant and consistently growing. 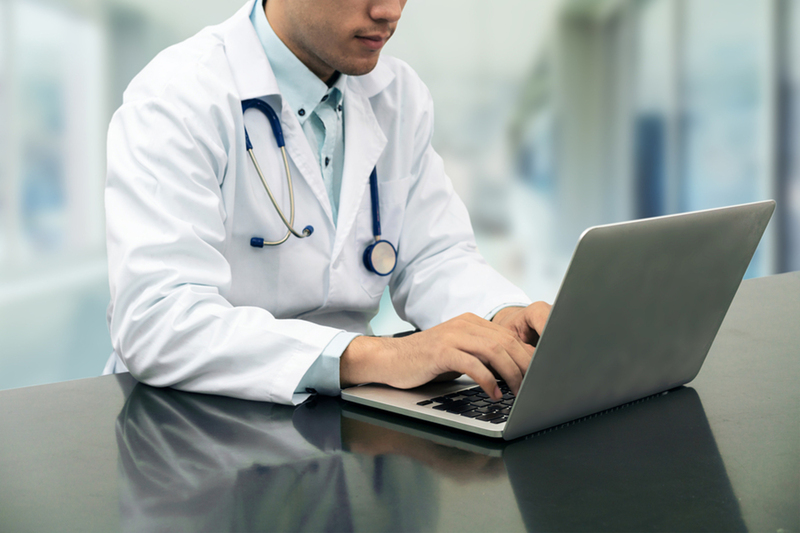 Keeping your directory profiles current can be time-consuming, especially if you have to regularly monitor hundreds and thousands of physicians. But updated listings are the key to year-over-year growth. Reputation.com enables you to manage all your directory profiles in one dashboard, saving you time and energy. By tackling inconsistencies and monitoring and responding to incoming reviews, we helped Sutter Health experience a 76% increase in doctor profile page visits. With similar services, Arkansas Surgical Hospital tripled positive online review volume. Keeping your reputation pristine enough to match the quality of the service you provide is important and also critical to continuing growth and patient satisfaction. To that end, take a look at how we can help you remove the administrative headache of updating physician directories and help you manage and improve your online reputation to boost growth and revenue.